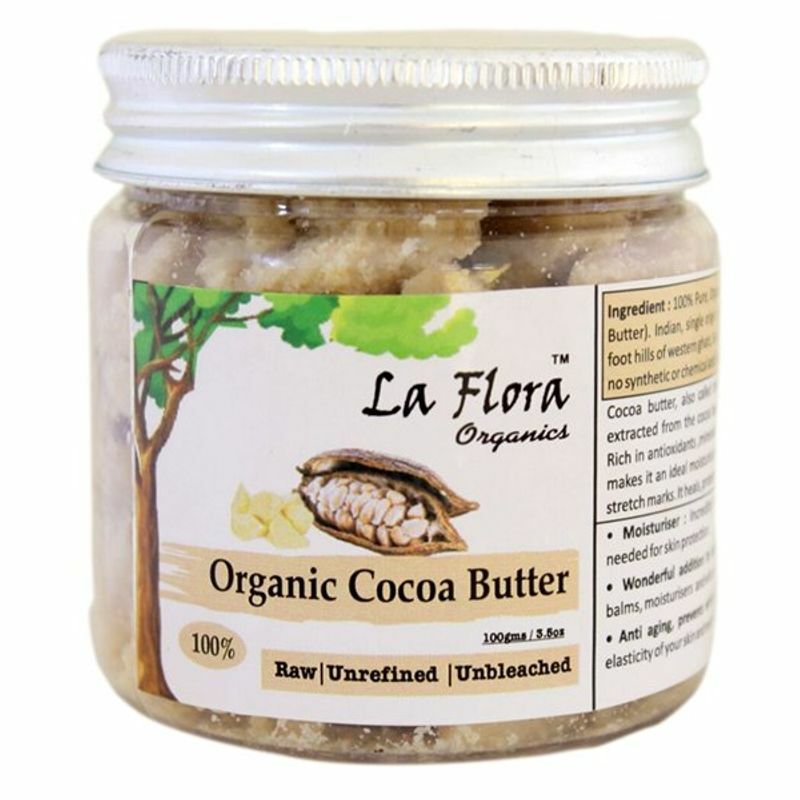 La Flora Organics brings to you 100% Pure, Organic, Unrefined, Raw and Unbleached Cocoa Butter featuring heavenly chocolaty aroma.Cocoa butter, also called theobroma oil, is a pale-yellow, edible fat extracted from the Cocoa bean pod with a heavenly chocolate aroma. Raw, unbleached, unrefined with no synthetic or chemical additives. 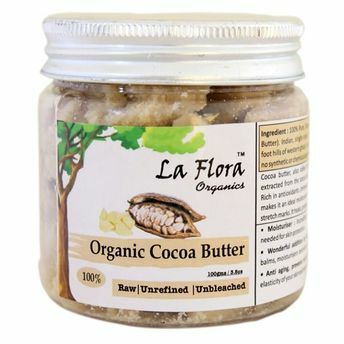 Shea Butter is rich in antioxidants, minerals like Magnesium, Iron & Omega fatty acids and makes it an ideal moisturiser that helps to prevent wrinkles, fine lines & stretch marks.